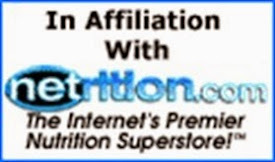 Tuit Nutrition: Low Carb Cooking Class! (LC3) -- Meat, Veg, Bake, Done! 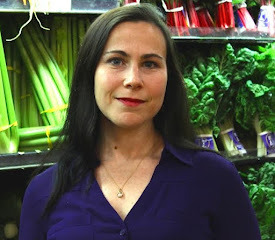 Low Carb Cooking Class! (LC3) -- Meat, Veg, Bake, Done! Cooking literally does not get simpler or easier than this. This is truly for the people out there who claim they “don’t know what to cook.” After today, you no longer have that excuse. 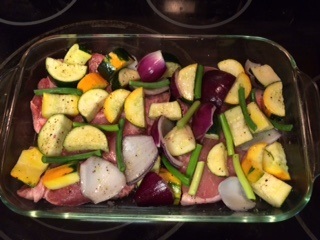 Put the meat in the pan/dish and then get to the vegetables. I like to cut them up and toss them with olive oil and salt & pepper. (You can even do this in the baking dish, so you don’t even have a separate bowl to wash.) You can also use some of the other seasonings we covered last time if you want to impart a particular flavor. This is nearly unfathomably easy cooking. It’s almost all hands-off time. Depending on the thickness of the meat and how well you want it done, you can let things cook for anywhere from 25 to 40 minutes. I prefer my meat not cooked completely to kingdom come, so I stick to the shorter cooking time. But the good thing about this is, when you think it might be done, you can cut into the meat and see if it’s to your liking. If not, let it go a few more minutes. Bone-in pork chops remain very moist and juicy when not overcooked, and even boneless, skinless chicken breasts don’t turn into bone-dry hockey pucks when cooked this way. 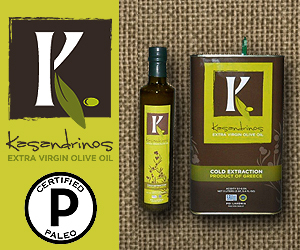 If the food seems a little bland to you, add whatever sauces and condiments you like at the table: mustard, pesto, vinaigrette, tomato sauce, olive tapenade, salsa, blue cheese or ranch dressing…the possibilities are endless. 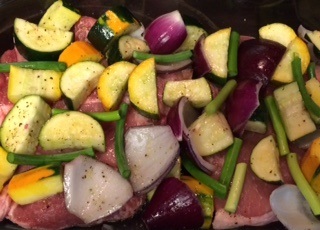 I’m telling you, folks: meat, veg, olive oil, salt & pepper. Put in pan. Put in oven. Take out of oven. Eat delicious food. This is not rocket science. 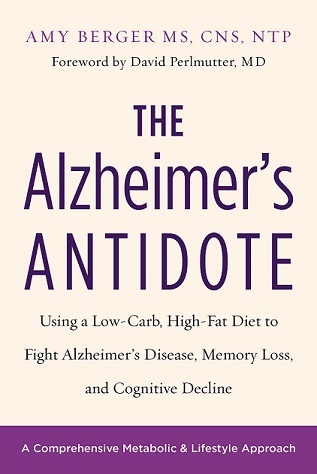 I love me some low carb cookbooks, but the truth is, you don’t need ‘em. If you want to make something a little out of the ordinary, or impress some guests, yes, you might want to make something a bit jazzier than usual. But for everyday, fast and easy cooking? You can’t beat this one pan in the oven deal. Like I said earlier: don’t know what to cook? You do now. 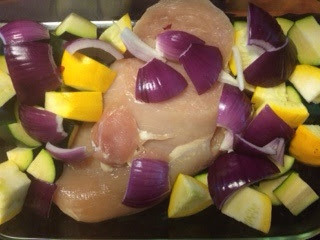 Boneless, skinless chicken breast with red onion, zucchini, and yellow squash. 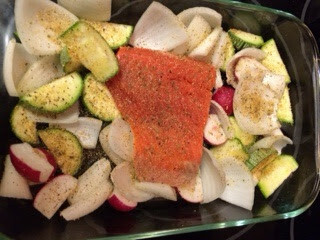 Salmon with onion, zucchini, and radish. yellow squash, and garlic scapes. 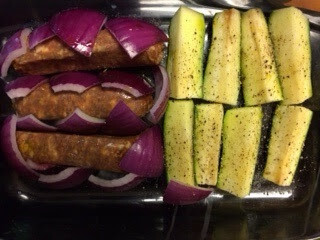 Thick pork sausages with red onion and zucchini. See what I mean about cutting the vegetables differently? You can cut them into cubes, wedges, or leave them in spears, like this. 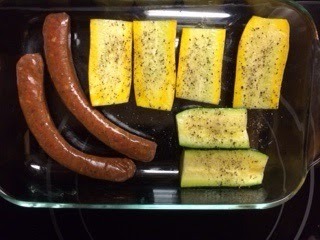 More sausages with summer squash and lots of salt & pepper. 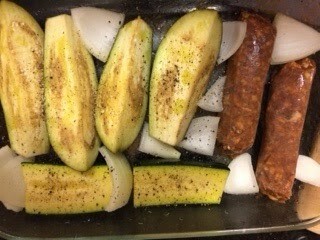 Sausages, eggplant wedges, zucchini, and onion. Seriously: this is not difficult. If this kind of cooking is confusing or intimidating to you, then I'm sorry, but I cannot help you. We are living on two separate planes of existence that do not intersect. As always: cooking for a crowd? COOK MORE FOOD. Same technique, just use more meat and more vegetables. Even if you're just cooking for one, why not cook a big batch anyway? Any and all of this can be eaten cold for lunch in the days that follow, or reheated for another dinner. Today many people are not well knowing about the nutritional values of vegetables. Lots of health benefits we get from vegetables. I love this post, because the author explain the dish in nice way. Yep, this is a great way of cooking that you've laid out in this series. One thing that you haven't explicitly addressed is the "how much" of the seasoning. A lot of people are going to be intimidated by that and want to know how much to use. Of course it's just a matter of experimenting a bit and seasoning to taste (start out with less, and add; you can't take it out!). The funny thing is that when you cook this way you inadvertently end up making all kinds of named dishes. After all, most of a cookbook is just the same ingredients put together in different ways (varying cooking technique, seasonings, etc. ), just as you've shown. Hungarian goulash is just a stew with paprika (basically). Many more examples. Forget the fancy French dishes that require exquisite timing and exacting seasoning to reproduce. Just cook. The trouble with giving amounts for salt and other spices in simple dishes like these is of course everyone's taste buds. 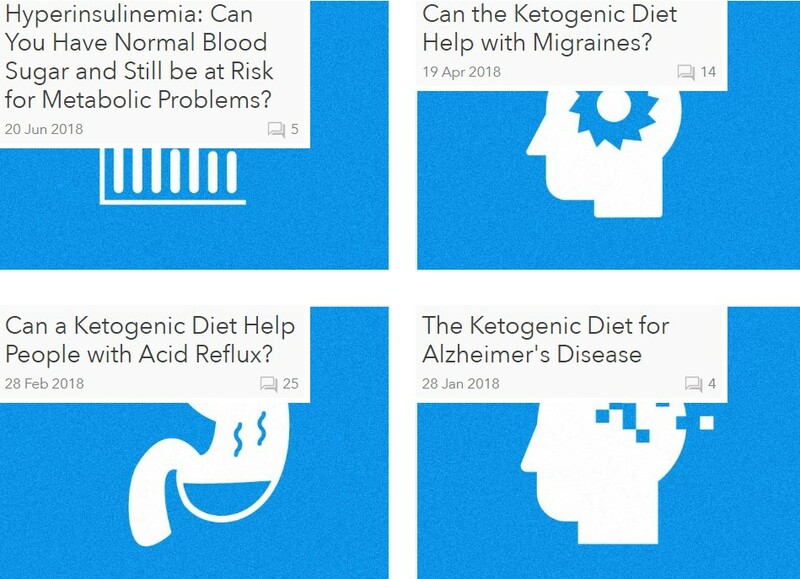 If you visit recipe sites that state the exact amount of salt, especially in low carb baking, you'll see many complaints that "it's too salty" or "the salt is just right" and "I actually added extra salt on top". I guess some figured it was best to simply say, "season to taste" in some recipes..
Dumb question, but do you have to thaw the meat first? Bring your mind center and your feelings into planning nourishment and appreciating the conceivable tastes.